Eugene fitted a new plug to the cooker. The winemaker inserted a plug into the hole in the barrel. Tania got out of the bath and pulled the plug out to let the water drain away. The actor gave his new movie a plug on the talk show. Plug the lamp into that socket over there. 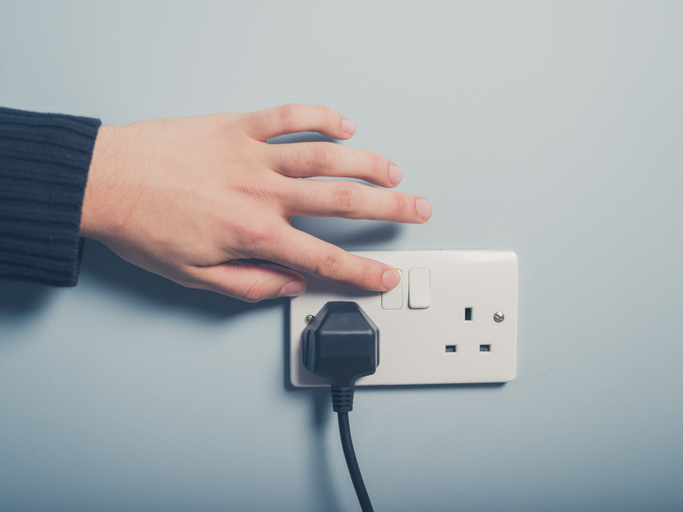 Of course your computer isn't working—you haven't plugged it in! Linda plugged the hole in the pipe with some old rags. The author is plugging his latest novel at every opportunity. spark plug: the device in each cylinder of an engine that produces the spark to ignite the combination of gasoline and air. A plug is also a colloquial term for a wad or stick of tobacco, either for smoking in a pipe or for chewing. Hair transplants are used by some balding men to regain hair on their heads. An early form of hair transplants used hair plugs—individual pieces of tissue with hair attached that were grafted onto the scalp. Plug, meaning ‘stopper for a hole,’ dates back to the early 17th century. It was originally a term used by seamen, and came into English from the Dutch plug, which can be traced back to the Middle Dutch plugg and the Old Dutch pluggi, but its origin before then is uncertain. Most linguists agree that the origin is most likely Germanic because most of the related terms are North Germanic and Scandinavian. Some have even suggested the Proto-Germanic plugjaz, though there is not enough evidence to be certain of what the term would have looked like. Plug is related to the Norwegian plugg, Danish pløg, North Frisian plaak, Middle Low German pluck (all meaning ‘plug’), and the German Pflock (plug or peg), and probably related to the Lithuanian plúkti (to strike or hew). The Gaelic plug and the Irish breiseán both derived from the English word. The colloquial sense ‘a piece of chewing tobacco dates back to the early 18th century, and is based on physical resemblance. The electrical sense dates back to the late 19th century, as does the ‘sparking device in an internal combustion engine’ meaning. The advertising sense was first used in US English in the early 20th century, and possibly came from the verbal sense ‘to work tirelessly at something.’ The verb, meaning ‘to close tightly or fill a hole,’ also dates back to the early 17th century. It may have come from the noun, or it may have come into English from the Dutch verb pluggen. The sense ‘to work tirelessly at something’ dates back to the late 19th century, while the advertising sense, like the noun, was first used in the early 20th century.